This is a beautiful reef with healthy coral and an abundance of fish on the reef top. 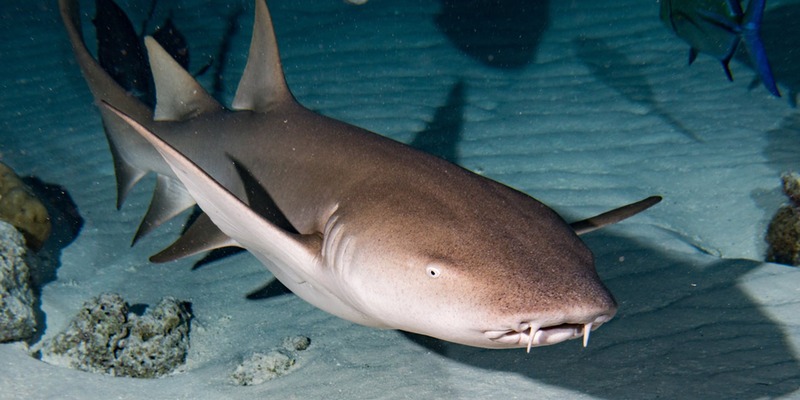 The best diving is on the outside part in depths to 16 meters where large coral rocks and table coral offer protection on nurse sharks and stingrays. Nurse sharks are regular visitors on Guraidhoo Corner. Maa Giri is shaped like a flower and lies inside Maavaanu Kandu, thus creating a perfect environment for large schools of fish. Here divers are surrounded by hundreds of fusilier and snapper. Divers will also see large numbers of parrotfish, oriental sweetlips, and trevally. 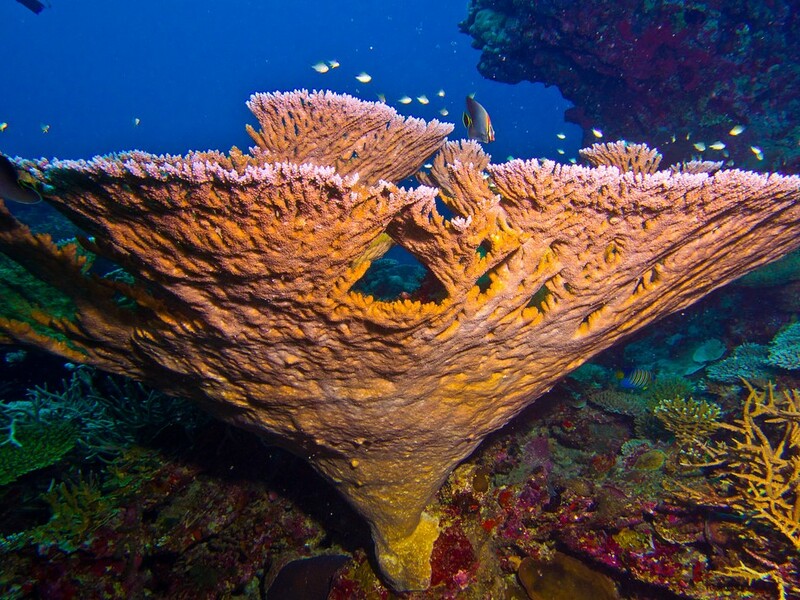 The reef slope changes from ledges are stepping down like a staircase to steep walls covered in leather coral. There are also plenty of overhangs and smaller caves. Maagiri also displays the largest gathering of sea anemones in one location. 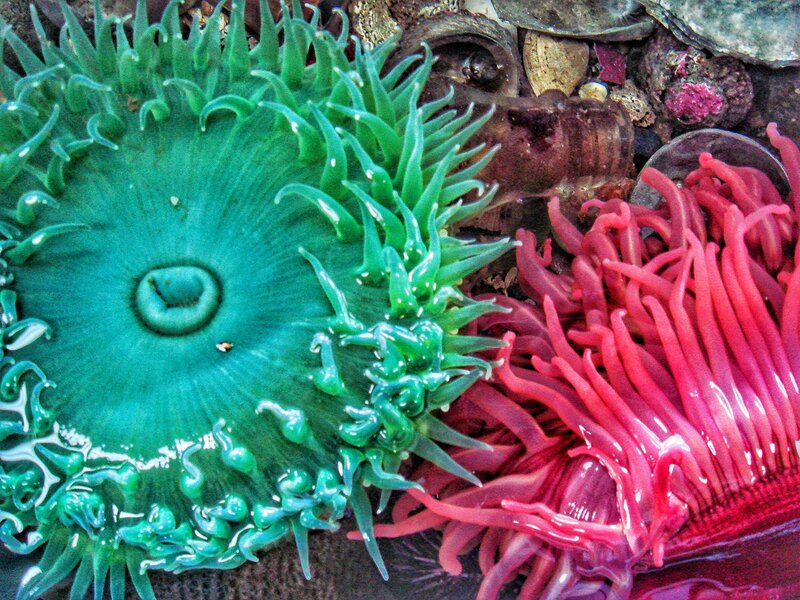 Maagiri also displays the largest gathering of sea anemones in one location. Lying in the middle of Riycoppaa Kandu near the entrance is a thila with the top at 16 meters. It is richly covered in coral including excellent table coral, also sea anemones, giant morays, Napoleon and a multitude of reef fish. Surrounding the thila are sand flats with depths between 20 and 25 meters. Across the sand is a beautiful top reef with big coral rocks and abundant fish life, such as trevally, snapper, fusilier, and sweetlips. The outside channel ledge drops off steeply from 40 to 50 meters with overhangs starting at 25 meters. Riycoppaa Kandu is richly covered in coral including excellent table coral. On the outside reef, corner are large coral rocks big enough to swim between. At this point, there are many reefs, including big-nose unicornfish, angelfish, oriental sweetlips, and schools of fusilier. 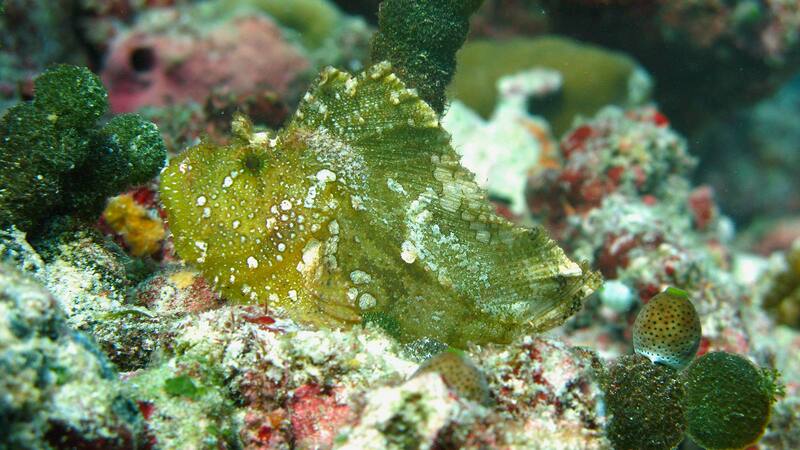 There are also shells and, if divers look closely, leaf fish can be seen near the corner at 15 meters. On the corner between eight and 22 meters are massive porite corals. Among them are schools of colorful flame basslet. 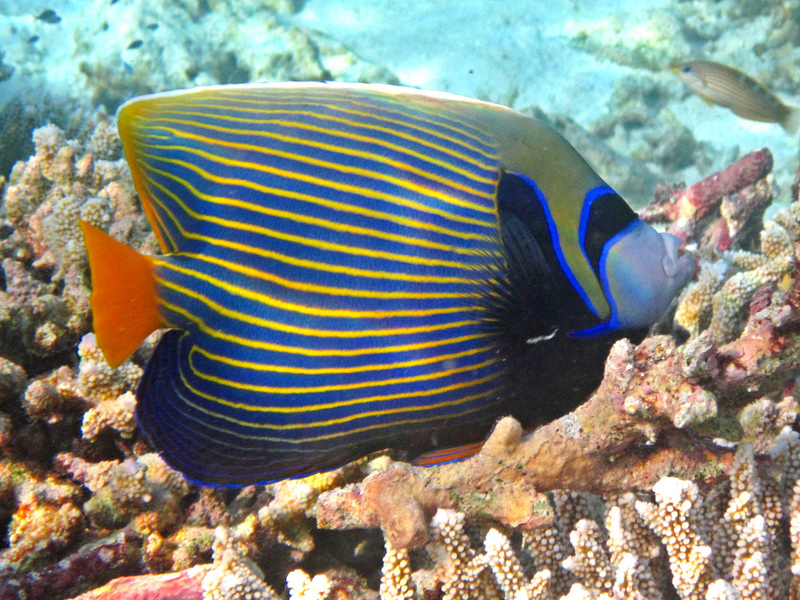 Angelfish are prolific at Kanuhuraa Corner. 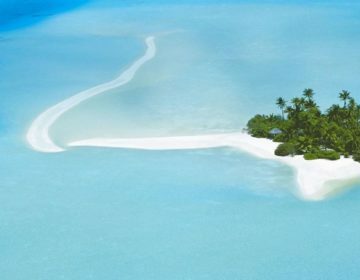 The entire channel has been declared a Protected Marine Area. Fushfari Thila is the main attraction, and even the most experienced divers will be spoilt at this site. 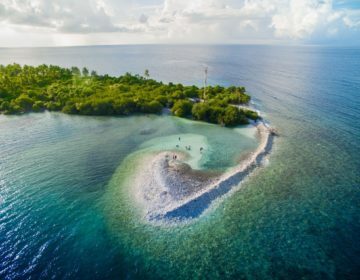 The thila lies near the edge of the atoll in the middle of a 500-meter-wide channel that separates the reefs of Fushifaru and Madhiriguraidhoo Faru. The thila is about 150 meters long and 50 meters wide and rises to about 10 meters at its highest point. At either end, the top is around a depth of 16 meters. The thila can be dived in two ways. The deeper outside part is the entrance to the atoll at 30 meters. The entrance and the thila can be dived separately or in one dive. Along the cliff edge, grey reef sharks, hammerhead sharks, barracuda, and eagle rays can be seen, depending on the current. 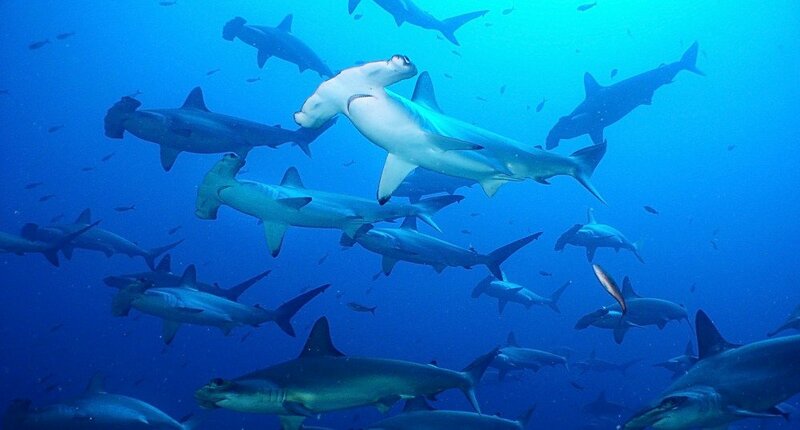 Along the cliff edge, hammerhead sharks can be seen, depending on the current. On the top of the thila is an unspoiled reef with brilliant table corals. This layered coral formation offers plenty of protection for morays and shy reef fish. There are cleaner wrasse stations all over the reef, and many fish and mantas can be seen at these. Big schools of black snapper, blue-dash fusilier, blue fusilier, yellow-back fusilier and aggregations of oriental sweetlips are common. The swift currents streaming through the channel give life to beautiful soft corals, and they compete for any available space. Lying on the sand surrounding the thila at 20 meters are white-tip reef sharks and stingrays while around the edges are nurse sharks and turtles. Currents can be powerful in this channel, especially during the north-east monsoon. An incoming current provides excellent visibility and enables divers to dive the deep outside rim of the atoll before moving on to the thila. Mantas are more likely to be seen with the current flowing outside the atoll. Care should be taken when diving with an outgoing current. Safety balloons should be carried at all times. Fushifaru Corner is a channel and outside reef dive with many interesting variations. It is located on the south-east side of Fushifaru Corner. The gently sloping channel slopes from five meters and bottoms out at 22 meters. The reef is liberally covered in green coral trees. The inside of the channel is not very interesting, but on the outside, the reef drops sharply away, and the steep wall is pitted with small caves and arches. Regularly seen along the wall are grey reef sharks and eagle rays. On the corner between eight and 15 meters is a range of healthy hard corals unaffected by storms or wave action. Oriental sweetlips, lobsters, morays, pufferfish, turtles and leaf fish are found around this coral-rich area. 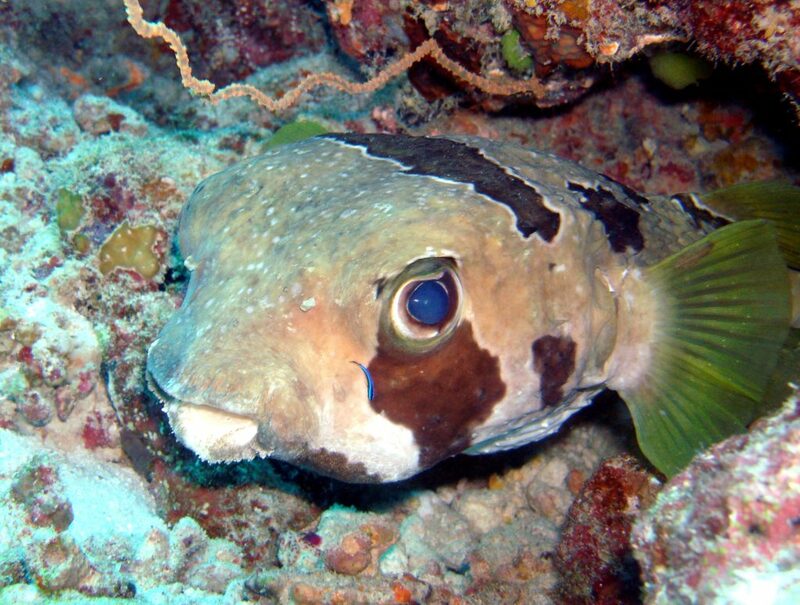 Blotched porcupinefish are common and on a sandy slope on the outside between 18 and 25 meters are sting rays and white-reef sharks. Fish life is diverse with big schools of fusilier, unicornfish, red bass, midnight snapper, and many species of butterflyfish. In every respect, this is an excellent dive with many surprises. The north-west side of this 300-meter-long reef has the best diving with caves between 12 and 20 meters. These are outcrops of reef and a rugged section with overhangs at the northern end and at the south-west end is a wall with more caves. A sand floor at 20 meters with garden eels, white-tip reef sharks, and stingrays is located midway along the reef. The reef top has healthy table coral with prolific fish life. Napoleon and turtles are significant attractions. 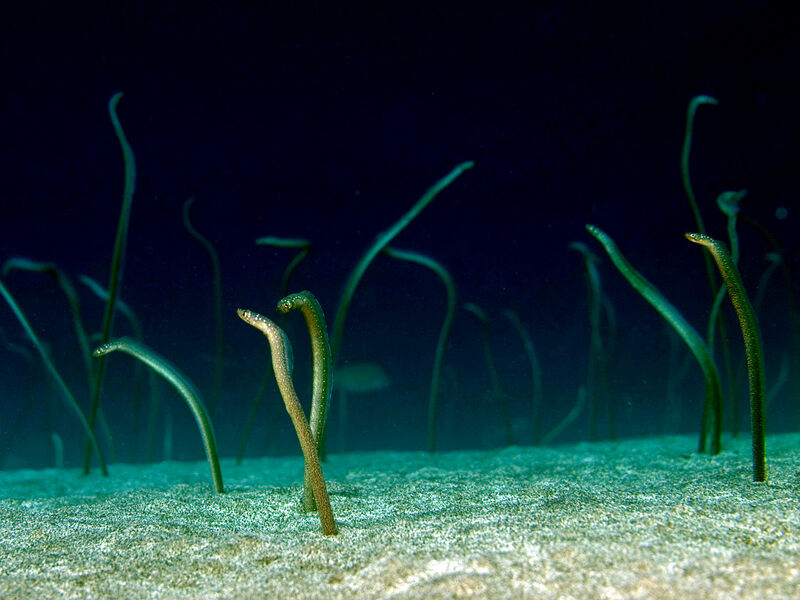 A sand floor at 20 meters with garden eels is located midway along the reef. In the first channel next to Kuredhdhoo is one of the most interesting sites in the atoll. 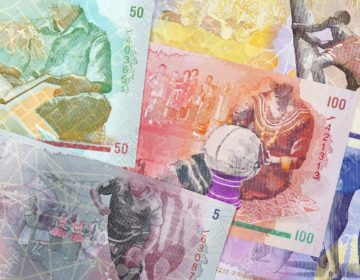 It is a long drift dive and covers just about everything divers are likely to see in Maldivian waters. On the steep outside reef are colorful overhangs while on the eastern corner between 10 and 22 meters, the reef steps down with terraces and overhangs. If the current is not too strong, divers can wait here and let the action come to them. Always present are grey reef sharks, big schools of trevally, black snapper, Napoleon and sometimes barracuda and eagle rays. Fishermen from inhabited islands often fish in the early morning for tuna at this corner because they are so prolific. The ceilings of the overhangs at 18 meters are covered with soft coral, and leaf fish can be found nearby. The channel has small overhangs on the side with plenty of morays. On the sandy bottom, stingrays are a common sight. The ceilings of the overhangs at 18 meters are covered with soft coral, and leaf fish (above) can be found nearby.